Member of the internal opposition Hmeymim group Tarek Ahmad stated that the JIM-OPCW report "ridiculous," as Syria’s chemical weapons were removed outside the country in 2014. MOSCOW (Sputnik) — The United States tries to tarnish Damascus' image by revisiting the issue of the Syrian government's alleged involvement in chemical weapon attacks, while being unable to create a solid opposition list for the next round of Geneva talks due to fighting between the Kurds and the Turkish forces, member of the internal opposition Hmeymim group Tarek Ahmad told Sputnik on Wednesday. On Tuesday, a number of UN Security Council (UNSC) members suggested imposing sanctions on Damascus, implicated in involvement in two chlorine attacks in 2014 and 2015, according to the report by the UN Joint Investigative Mechanism (JIM) and the Organization for the Prohibition of Chemical Weapons (OPCW). Russia's UN envoy Vitaly Churkin said the report results could have been falsified by forces opposing Damascus and terrorist structures, possibly with the foreign assistance. "I agree with Vitaly Churkin that the report is based on falsified data. I think that the United States started talking about it because the Americans found themselves in a complex situation when their loyal allies in the region — the Turks and Kurds — fight against each other. As a result, the United States and HNC [High Negotiations Committee] opposition are not ready for new talks and will fail to form another delegation," Ahmad said. Ahmad also finds the JIM-OPCW report "ridiculous," as Syria’s chemical weapons were removed outside the country in 2014. "Besides, Syria had factories with a complete production line and technologies. It is ridiculous to claim that the Syrian government was using primitive chlorine. I am chemist and I can tell you that chlorine can be found in any kitchen, in every house; you can buy concentrated chlorine as well," he added. A mission to eliminate Syria's chemical arsenal was announced after the deadly gas attack in 2013. Moscow urged Damascus to place its chemical weapons under international control, which Syria agreed to do. 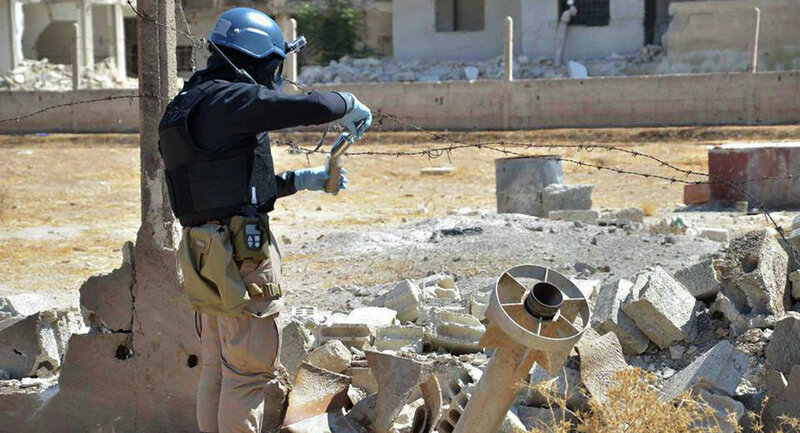 In August 2015, the UN Security Council authorized the launch of the JIM to identify people involved in the use of chemical weapons in Syria. The latest round of the talks on Syria took place in Geneva on April 13-27. The Riyadh-backed High Negotiations Committee walked out of the negotiations, citing the continuous fighting in Syria and the lack of progress on humanitarian issues.